Every time I have heard of the Final Fantasy series, it has always been regarded as successful, and with the number of games that are in the series to back it up, I never knew how good it actually is. A month ago, I finally decided to try it out, and I just beat it today. I have to say, as an NES game, it’s something. I had 20 hours put in by the end, and I didn’t even do everything. This game has, at the time of its original release in 1987, stunning graphics, and such a vast environment to explore. The story is basic, but the adventure is wonderful. 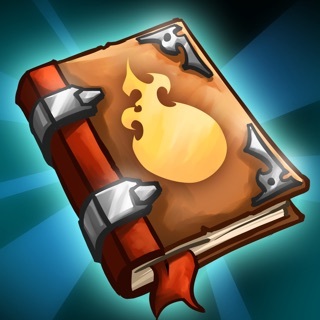 There are tons of spells and weapons to collect. 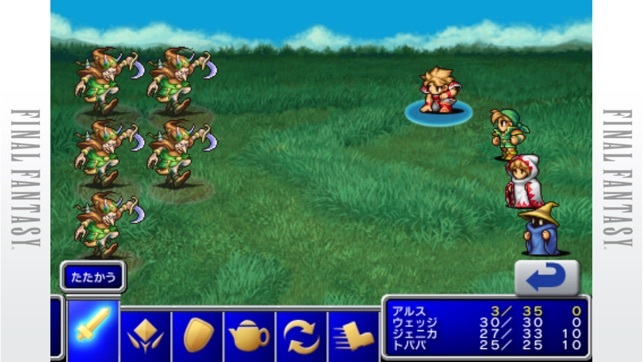 Final Fantasy is known for its turn based combat. The turn based combat is fun and strategic, and the backgrounds in battles are detailed yet simple, but as something of an intermediate RPG player as I am, my prior RPG experience being the Xenoblade Chronicles games and the Paper Mario and Mario & Luigi series, I was not a huge fan of the random encounter battle system; however, I did become used to it as time went on. 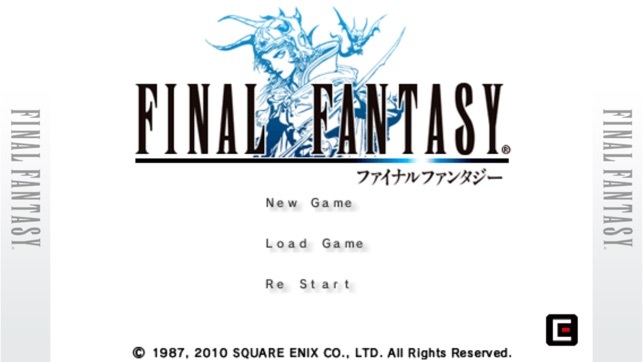 Overall, as a beginner to the series, I say this game still holds up to this day, and I would definitely recommend this game to anyone who wants to try out an RPG, and has never played a Final Fantasy game. 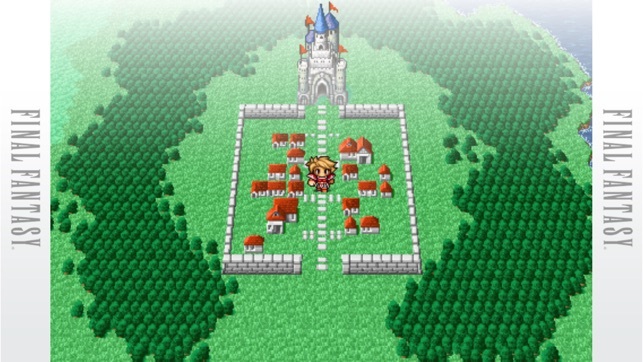 I’m looking forward to playing Final Fantasy II, and the main series beyond. I hope my review influences newcomers to give it a try, and look out for my future reviews of the Final Fantasy series. Seeing how this is the port of the 20th Anniversary PSP version, I expected it to play as such, and at least have the same (if not better) performance. The first thing you’ll notice right off the bat is the resolution, or rather how blurry it is. I don’t know if it’s somehow possible to make the game any more high definition, but if it can, that’d be great. The next thing you’ll notice is the frame rate. It’s choppy and slower than the PSP version, and it’s very noticeable. The PSP version runs so much smoother and looks so much better, that sometimes I prefer to just dust off my PSP and play it there. The next thing is a minor nitpick, but still needs to be addressed. We all know how FF1 is a grind fest. With that being said, the PSP version allowed you to enter a battle, and just hold the X button, essentially turning each battle into auto mode. The iOS version doesn’t have an auto feature, nor does it allow you to make the battles faster. All you can really do is tap each enemy twice, and wait for each character to finish attacking. Again, small nitpick, but that’s just me. Other than that, this is still a great game, and will always be in my Top 5. Very identical to the PSP dawn of souls port of the game. Very well done and seamless. In my play throughs have not experienced any glitches or game ruining experiences. It is final fantasy 1, the game that they made without any precedence and have since revolutionized the genre. For those who are expecting a streamlined gameplay where everything is made for the players convenience I'm afraid this isn't it. This game was made as a last ditch effort by Square, and as many last ditch efforts, it doesn't have that nice layer of polish we are used to. 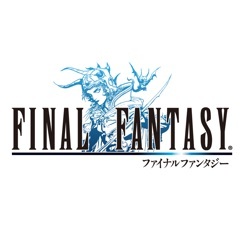 If you like RPGs with a polish I recommend final fantasy 4 or 6. The added dungeons are a nice touch to those who enjoy a challenge. But one big issue I have with the game is that there isn't really a challenge. The original port was pretty difficult (granted you didn't do the peninsula of power). And this game isn't very challenging until you hit the bosses, in which the difficulty spikes absurdly.